The key to the piece is in the links: "A survey released by Fairleigh Dickinson University earlier this year determined that Fox News viewers were actually less informed that Americans who watched no news at all. 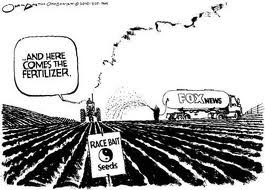 In fact, at least seven studies in recent years have confirmed that Fox News viewers are more likely to be misinformed than other Americans." "Fox News viewers are less informed than people who don't watch any news, according to a new poll from Fairleigh Dickinson University. 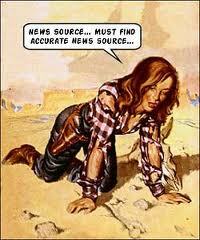 There probably is a small group of media consumers out there somewhere in the world who are more misinformed, overall, than Fox News viewers. But if you only consider mainstream U.S. television news outlets with major audiences (e.g., numbering in the millions), it really is true that Fox viewers are the most misled based on all the available evidence—especially in areas of political controversy. Based upon my research, I have located seven separate studies that support Stewart’s claim about Fox, and none that undermine it. Six of these studies were available at the time that PolitFact took on Stewart; one of them is newer. The studies all take a similar form: These are public opinion surveys that ask citizens about their beliefs on factual but contested issues, and also about their media habits. Inevitably, some significant percentage of citizens are found to be misinformed about the facts, and in a politicized way—but not only that. 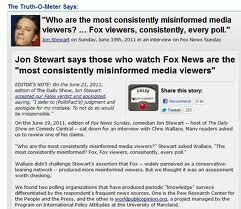 The surveys also find that those who watch Fox are more likely to be misinformed, their views of reality skewed in a right-wing direction. In some cases, the studies even show that watching more Fox makes the misinformation problem worse. In 2003, a surveyby the Program on International Policy Attitudes (PIPA) at the University of Maryland found widespread public misperceptions about the Iraq war. For instance, many Americans believed the U.S. had evidence that Saddam Hussein’s Iraq had been collaborating in some way with Al Qaeda, or was involved in the 9-11 attacks; many also believed that the much touted “weapons of mass destruction” had been found in the country after the U.S. invasion, when they hadn’t. But not everyone was equally misinformed: “The extent of Americans’ misperceptions vary significantly depending on their source of news,” PIPA reported. “Those who receive most of their news from Fox News are more likely than average to have misperceptions.” For instance, 80 percent of Fox viewers held at least one of three Iraq-related misperceptions, more than a variety of other types of news consumers, and especially NPR and PBS users. 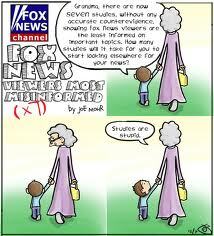 Most strikingly, Fox watchers who paid more attention to the channel were more likely to be misled. 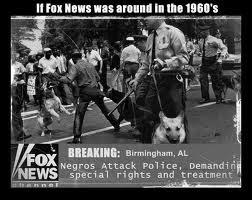 At least two studies have documented that Fox News viewers are more misinformed about this subject. In amuch more comprehensive study released in late 2011 (too late for Stewart or for PolitiFact), American University communications scholar Lauren Feldman and her colleagues reported on their analysis of a 2008 national survey, which found that “Fox News viewing manifests a significant, negative association with global warming acceptance.” Viewers of the station were less likely to agree that “most scientists think global warming is happening” and less likely to think global warming is mostly caused by human activities, among other measures. In 2009, anNBC survey found “rampant misinformation” about the healthcare reform bill before Congress — derided on the right as “Obamacare.”It also found that Fox News viewers were much more likely to believe this misinformation than average members of the general public. “72% of self-identified Fox News viewers believe the healthcare plan will give coverage to illegal immigrants, 79% of them say it will lead to a government takeover, 69% think that it will use taxpayer dollars to pay for abortions, and 75% believe that it will allow the government to make decisions about when to stop providing care for the elderly,” the survey found. By contrast, among CNN and MSNBC viewers, only 41 percent believed the illegal immigrant falsehood, 39 percent believed in the threat of a “government takeover” of healthcare (40 percentage points less), 40 percent believed the falsehood about abortion, and 30 percent believed the falsehood about “death panels” (a 45 percent difference!). In late 2010, the Program on International Policy Attitudes (PIPA) once again singled out Fox in a survey about misinformation during the 2010 election. Out of 11 false claims studied in the survey, PIPA found that “almost daily” Fox News viewers were “significantly more likely than those who never watched it” to believe 9 of them, including the misperceptions that “most scientists do not agree that climate change is occurring” (they do), that “it is not clear that President Obama was born in the United States” (he was), that “most economists estimate the stimulus caused job losses” (it either saved or created several million), that “most economists have estimated the healthcare law will worsen the deficit” (they have not), and so on. 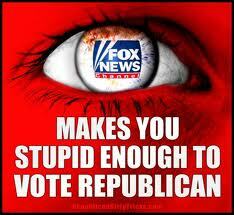 "...Fox viewers are the most misinformed. But then comes the truly interesting and important question: Why is that the case? To answer it, we’ll first need to travel back to the 1950s, and the pioneering work of the Stanford psychologist and cult infiltrator, Leon Festinger. In his 1957 book A Theory of Cognitive Dissonance, Festinger built on hisfamous study of a doomsday cult called the Seekers, and other research, to lay out many ramifications of his core idea about why human beings contort the evidence to fit their beliefs, rather than conforming those beliefs to the evidence. That included a prediction about how those who are highly committed to a belief or view should go about seeking information that touches on that powerful conviction. Festinger suggested that once we’ve settled on a core belief, this ought to shape how we gather information. More specifically, we are likely to try to avoid encountering claims and information that challenge that belief, because these will create cognitive dissonance. Instead, we should go looking for information thataffirms the belief. The technical (and less than ideal) term for this phenomenon is “selective exposure”: what it means is that we selectively choose to be exposedto information that is congenial to our beliefs, and to avoid “inconvenient truths” that are uncongenial to them. If Festinger’s ideas about “selective exposure” are correct, then the problem with Fox News may not solely be that it is actively causing its viewers to be misinformed. It’s very possible that Fox could be imparting misinformation even as politically conservative viewers are also seeking the station out—highly open to it and already convinced about many falsehoods that dovetail with their beliefs. Thus, they would come into the encounter with Fox not only misinformed and predisposed to become more so, but inclined to be very confident about their incorrect beliefs and to impart them to others. In this account, political misinformation on the right would be driven by a kind of feedback loop, with both Fox and its viewers making the problem worse. Multiple studies have shown that political conservatives—e.g., Fox viewers--tend to have a higher need for closure. Indeed, this includes a group called right-wing authoritarians, who are increasingly prevalent in the Republican Party. This suggests they should also be more likely to select themselves into belief-affirming information streams, like Fox News or right-wing talk radio or the Drudge Report. Indeed, a number of research results support this idea. In a study of selective exposure during the 2000 election, for instance, Stanford University’s Shanto Iyengar and his colleagues mailed a multimedia informational CD about the two candidates—Bush and Gore—to 600 registered voters and then tracked its use by a sample of 220 of them. As a result, they found that Bush partisans chose to consume more information about Bush than about Gore—but Democrats and liberals didn’t show the same bias toward their own candidate. Selective exposure has also been directly tested several times in authoritarians. The psychologist Robert Altemeyer of the University of Manitoba has also documented an above average amount of selective exposure in right wing authoritarians. In one case, he gave students a fake self-esteem test, in which they randomly received either above average or below average scores. Then, everyone—the receivers of both low and high scores—was given the opportunity to say whether he or she would like to read a summary of why the test was valid. The result was striking: Students who scored low on authoritarianism wanted to learn about the validity of the test regardless of how they did on it. There was virtually no difference between high and low scorers. But among the authoritarian students, there was a big gap: 73 percent of those who got high self-esteem scores wanted to read about the test’s validity, while only 47 percent of those who got low self-esteem scores did. 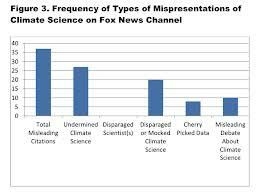 In summary, then, the “science” of Fox News clearly shows that its viewers are more misinformed than the viewers of other stations, and are indeed this way for ideological reasons. But these are not necessarily the reasons that liberals may assume. Instead, the Fox “effect” probably occurs both because the station churns out falsehoods that conservatives readily accept—falsehoods that may even seem convincing to some liberals on occasion—but also because conservatives are overwhelmingly inclined to choose to watch Fox to begin with. At the same time, it’s important to note that they’re also disinclined to watch anything else. Fox keeps constantly in their minds the idea that the rest of the media are “biased” against them, and conservatives duly respond by saying other media aren’t worth watching—it’s just a pack of lies. According to Public Policy Polling’s annual TV News Trust Poll (the 2011 run), 72 percent of conservatives say they trust Fox News, but they also say they strongly distrust NBC, ABC, CBS and CNN. Liberals and moderates, in contrast, trust all of these outlets more than they distrust them (though they distrust Fox). This, too, suggests conservative selective exposure. Fox News is both deceiver and enabler simultaneously. First, its existence creates the opportunity for conservatives to exercise their biases, by selecting into the Fox information stream, and also by imbibing Fox-style arguments and claims that can then fuel biased reasoning about politics, science, and whatever else comes up. But at the same time, it’s also likely that conservatives, tending to be more closed-minded and more authoritarian, have a stronger emotional need for an outlet like Fox, where they can find affirmation and escape from the belief challenges constantly presented by the “liberal media.” Their psychological need for something affirmative is probably stronger than what’s encountered on the opposite side of the aisle—as is their revulsion towards allegedly liberal (but really centrist) media outlets. 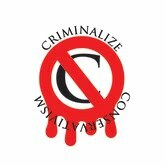 In yesterday's posting, "Punishing Conservatives, Revisited," (http://www.criminalizeconservatism.com/2012/12/punishing-conservatives-revisited.html) and the stories listed in http://www.criminalizeconservatism.com/search/label/punishment, we have begged for mercy for the intellectually challenged Conservative followers when Conservatism is criminalized, as their deficiencies are not totally their fault and thus may be corrected in re-education camps, and new neurological studies may find the cure for the sheeplets' sub-IQs, as well as their propensity for Authoritarian behavior. Punishing the Conservative leaders, of course, is another matter. "A man on a date wonders if he’ll get lucky. The woman knows."